This simple baked rice is flavored with curry powder, butter, and vegetables. The recipe calls for peas, but I used a carrots and peas mixture for more color and flavor. Enjoy this flavorful rice with chicken or fish. In a large Dutch oven or covered casserole, combine boiling water, salt, rice, butter, and curry powder. Cover and bake at 375 F for 45 to 55 minutes. Check the rice near the end of the cooking time, Add more hot water if necessary. 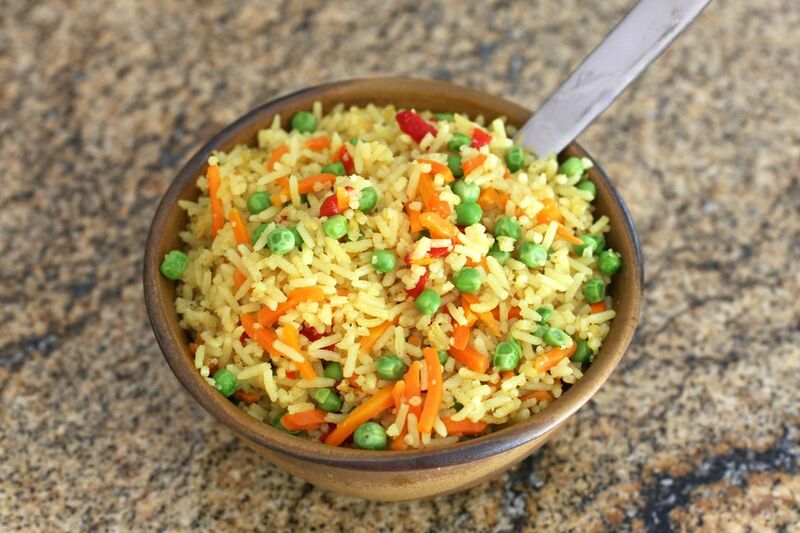 Stir the hot cooked peas into the rice mixture with pimiento.